Alpenglow Cleaning has been doing new home and remodel construction cleaning in Truckee and Tahoe since 2006. Whenever construction is going on, there is usually a big mess to clean up when the contractor has finished. 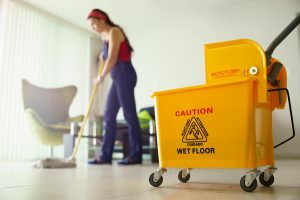 This can include sawdust, drywall dust (check out this article and you’ll never want to clean up after construction yourself), debris and garbage laying around, new stickers on mirrors and appliances and all sorts of things left during the construction process. We are here to help you with your construction cleaning. We like to make the house move-in ready, so all the client has to do is unpack. Our goal is to present a clean and fresh smelling home that a client will be happy to walk into. We work with a large crew so most homes take one full day or two half-days. Call ahead to guarantee your spot on our construction cleaning schedule. * If you would like an estimate or you have any questions on new construction cleaning or remodel cleaning in Truckee, or North Lake Tahoe, please give Alpenglow Cleaning a call to schedule (530) 550-7218.